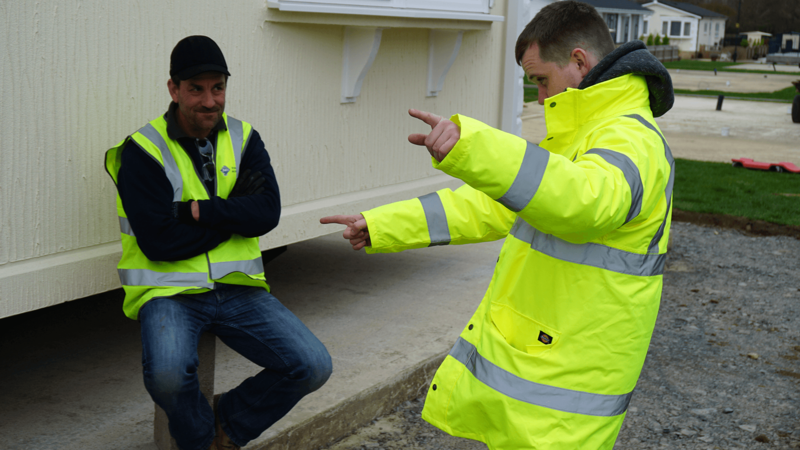 We have been working with the National Caravan Council to create an upgraded training programme for their safe siting course. Using virtual reality, we have produced a more effective learning resource that provides practical training demonstrations to trainees with a much lesser risk of human injury than real world training. At the start of this project, the NCC team felt that their staff had been struggling to overcome a prominent skills gap when it came to technical training. 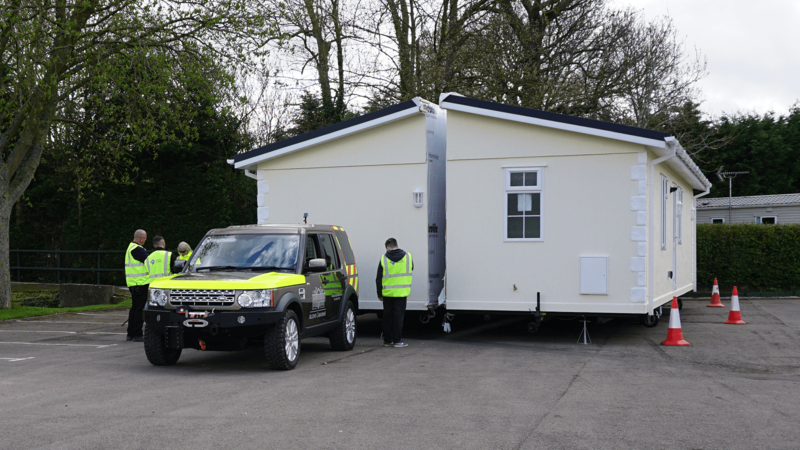 Due to the potential safety risks of caravan siting, it is unsuitable for beginners to train on-site and get real world experience, meaning effective in-class training is vital. “You can’t physically site a caravan without a qualification –it’s a real catch 22.” Sallyann Adams, head of training at the NCC Academy explained. They came to us hoping they could utilise immersive technologies to create a more realistic training resource and to create an offering that had never been seen before in their industry. Using our 8K cameras we were able to capture a real life siting operation from start to finish and turn it into an easy to use VR experience that took trainees through the key processes and requirements in 360, with the added benefit of voiceovers, on screen step by step graphics and video pop ups that zoomed in on key actions. The experience was formatted into eight short sections that were delivered to trainees across two days. Using our synchronised VR playback system, trainers were able to control when they wanted students to move on to each chapter of the training and pause and play all the headsets in synchronisation when as they wished. Studies suggest that information retention can be improved by up to 12% when learning is done in VR, meaning there is clearly potential for the technologies to be used in the education sector. It is too early to tell of the exact impact of VR on learning effectiveness for the NCC, however we have heard that the technology is being met with a lot of enthusiasm and is still presenting very clear advantages. 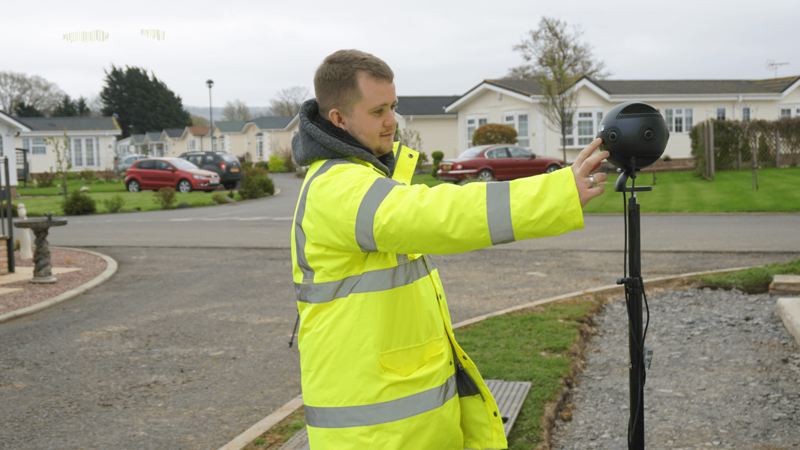 The level of information we have been able to present using VR is far greater than what could otherwise be shown through standard video, ultimately providing a more enriched and useful course in a way that is more engaging, intuitive and far safer than on-site training. We are now planning for the next stage of VR training involving an interactive CGI experience that will allow users to carry out virtual procedures using hand interaction. Have an enquiry about creating a VR training experience? Call us on 01767 317614 to discuss or find out more about our VR development services here.